Choosing a condom was never a decision that I spent a lot of time thinking about. Who does? I would grab whatever looked appealing and head to the checkout. I just wanted them to do what they were designed to do. A couple months ago I began to look for a sustainable condom. Not only did I find a sustainable condom that was packaged in 100% recycled packaging. It was a condom that could save a life. Choosing a sustainable condom is just as important as buying anything else. Being sustainable is defined as not being harmful to the environment. To me this translates as choosing to be kind to all living things. I am conscious where I open my wallet. I want to make sure the product I am buying has little impact on the earth, animals and people. This choice may seem overwhelming and I admit it was at the start. But that is why I am here...to forge the road so it is easier for YOU. And today I am going to make your choice about condoms so much easier and introduce you to Hero Condoms. Sustainable condoms? Well...why not! Contraception is something that most people use in one varying form or another. It is a no-brainer to choose a condom that lives by the ethos to save a life and save the world. 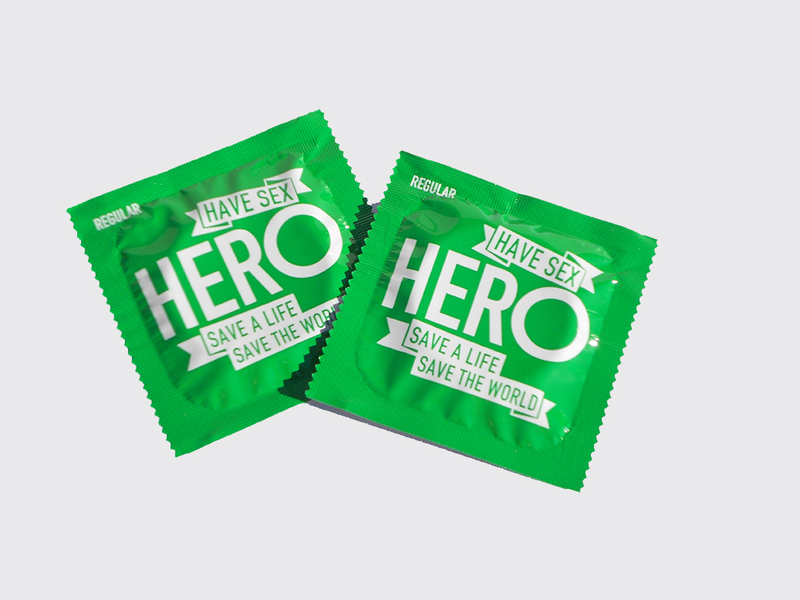 The concept of Hero Condoms is simple: For each condom purchased in Australia the team at Hero will donate one condom to a person in a developing country with a focus on areas where HIV/AIDS is prevalent. The condom packaging will be made with local communities in mind. Keeping language and design to be as appealing to the community as possible. The condoms are manufactured with the environment and community in mind too. The condoms latex is extracted sustainably meaning the tree it is harvested from can continue to produce rubber later on. Plus they harvest within 30 km of the factory meaning less emissions from travel. A win for the planet and a win for the local communities. While the condoms come in 100% recycled cardboard packaging, the condoms and wrappers cannot be recycled and go off to landfill. Natural rubber latex condoms can be composted but not in our regular household compost bin. They would take too long to break down. 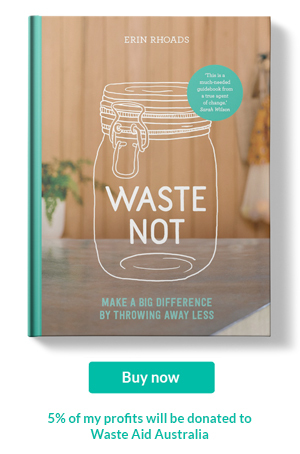 I did email TerraCycle regarding the possibility of future recycling programs for the wrappers and the response was that while they are not focusing on this particular waste stream now, never say never. Who knows what TerraCycle might be able to do do in the future. The packaging also comes with two small plastic stickers located on the opening to provide anti tampering. These cannot be recycled but when compared to the majority of condoms packets shrink wrapped in plastic it is by far a better choice for reducing rubbish. Visit their website for stockists. What is a bulk food store?